According to a Chevrolet dealer in Southern California, the all-new, all-electric Chevy Bolt will not be available for pre-order until November of this year—three months later than the original August date announced at the vehicle’s launch, according to a report by CleanTechnica. My local Chevy dealership (in Southern California, a HOT electric car market) shared that we should be able to order a Chevy Bolt “sometime in the third quarter,” and when I mentioned that I would be back October 1st to put in an order [emoji removed], the dealer representative clarified that it would likely be sometime in November 2016. This is a delay of 3 months when compared to the August order timing that Chevy shared back at ACT, which takes a chunk out of the huge and important lead time that Chevy had on the Model 3. The dealer also told Field that the target for beginning deliveries for the $37,500 pre-incentive electric car had been pushed back from October 2016 to January 2017. A GM spokesperson states that Bolt deliveries will indeed begin at the end of this year, counter to what this California dealer told us, and we are in discussion regarding the details to better illuminate the pre-order delay and the discrepancy in information from GM and multiple dealers. Electrek also confirmed with GM that early Bolt deliveries were still planned for the end of 2016. The car has been prioritized for delivery to certain EV-friendly states, and will be available in all 50 and Canada. 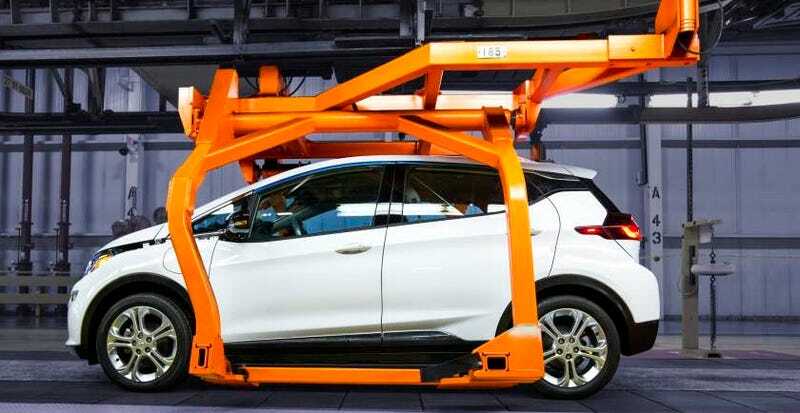 The report also speculated that early Bolt production may be reserved for Chevrolet’s partnership with Lyft, which promises to offer leasing options for drivers to shuttle passengers in the new electric car. Meanwhile, a small California EV automaker continues to struggle to be on time with its promises, while continuing to make even bigger promises. Electric cars, huh. What’s the rush?